Who doesn't like to laugh? The rise of the digital age leveled the playing field in many ways, and nowhere is that more evident than YouTube, with the most popular channels surpassing much of what we watch on television. It's the golden age of video, and if you want to watch something really, really funny, you no longer need to depend on Comedy Central and hope it's actually showing something good. You just need to know what channels to subscribe to on YouTube to get your daily funny bone fix. Offers tons of interesting content for gamers. Has a Spanish-language Youtube channel called ElSmosh. Adult humor and language isn't for all audiences. Videos tend to be ad heavy. One of the funniest channels on YouTube that is actually dedicated to comedy, Smosh actually predates the streaming video site by a couple of years. Ian Hecox and Anthony Padilla started posting videos in 2003, and at various points in its existence, Smosh boasted the most YouTube subscriptions, a title currently held by PewDiePie. With one movie under their belt, another one in the pipeline and a host of sub-channels, Smosh is one of the more consistently funny channels on YouTube. The duo has recently branched out into YouTube Red with Ghostmates. If you are looking for something similar to Smosh, you should check out Shane Dawson TV. Constantly producing new topical content. "Honest Trailers" might make you grow to hate your favorite movies. Co-creator Andy Signore has been embroiled in controversy. Do you ever get annoyed by those movie reviews that use phrases like 'cinematic pacing' and "nuanced performance" and "surprising but thoughtful" but completely ignore how the car jumped from one level of a parking lot across a street to land on a lower level parking lot without a scratch? You won't find any of that with the Honest Movie Trailers produced by Screen Junkies. They'll point out exactly how stupid the film is in the type of detail usually reserved for Star Trek aficionados discussing the beauty of the Klingon language. Honest Movie Trailers tends to be one of the most consistently funny series on YouTube, especially when watching trailers for movies you either completely love or absolutely hate. Don't have three minutes for a trailer? Check out 5 Second Films for the quickest movie giggles on the planet. Daily videos are created by a large in-house writing team. College Humor website includes fun articles and user submitted content. The low brow humor is often targeted at a niche audience. The jokes are generally not for the easily offended. 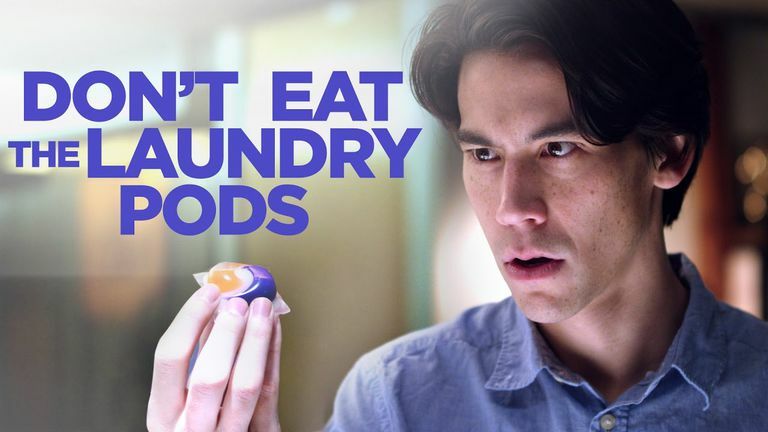 While the name might suggest sophomoric pranks and fraternity humor, the truth is more like a Mad TV version of Funny or Die. One of the earliest humor channels on YouTube, College Humor is still among the funniest. You won't see the familiar faces, and Like Funny or Die, the skits can be hit or miss. But when they hit, they are very funny. College Humor also operates Dorkly on the nerdier side of humor. If you are looking for other consistently funny videos, check out The Onion's channel. NSFW: Language. If you view at work, you might want to turn down the volume. Most videos contain a positive message. Many videos are very similar in nature. Some of her older videos are a bit cringe worthy. Jenna Marbles is about as close as you can get to an overnight sensation. One of her first videos, a funny how-to for tricking people into thinking you are good looking went massively viral. And thus a Marbles was born. Her channel is filled with secrets like how to make almost anyone go away and how many helium balloons it will take to lift her dog off the ground. Pro tip: Don't try that last one outside. We'll miss you Puddles! Similar to other massive YouTube stars, her channel has evolved to include a lot of day-in-the-life video and it is the genuine nature in which Jenna has embraced her fame that continues to attract followers. And in a not really all that similar vein, check out Nigahiga to find out how the Earth is really flat or why the Illuminati are real. Makes fun of a wide variety of media from TV shows to royal weddings. Fake political ads are especially entertaining. Has been plagued by its share of copyright disputes. Has inspired tons of less talented imitators. If you've never experienced Bad Lip Reading, just do it. Not only is it extremely funny, it's quite an art form to find funny alternatives that fit so well with what the characters seem to be saying. Of course, this sometimes leads to a string of almost unintelligible word and phrase choices, which is part of what makes it so funny. Bad Lip Reading has a mixture of famous movie scenes with alternative dialogue and scenes put to song. It has a strong focus on fan favorites like Star Wars and The Walking Dead, but you'll find everything from Bernie Sanders, Hillary Clinton and Barak Obama giving speeches at the Democratic National Convention to the Black Eyed Peas singing "Everybody Poops." And if poking fun at movies makes you giggle, you definitely want to check out How it Should Have Ended, which does exactly what the title suggests: tells you how movies really should have ended. Expect singing and dancing. Game reviews are in-depth and brutally honest. Also offers movie news and reviews. Many of the original content creators have moved on to other projects. The website's forums were once a haven for supporters of GamerGate. As you might imagine there's a huge section of YouTube cut out and dedicated to gaming. There's the Let's Play section, which ranges from watching someone play games and comment on them to more audience participation variants, and there are game reviews, demos, tips, walkthroughs, etc. And then there is the humor, and that's where The Escapist really shines. Forget playing a game and making funny comments. The Escapist dissects games and game genres and crushes the funny out of them like an orange being put through a juicer. Basically, the Escapist is to games what Honest Movie Trailers are to movies. Another great gaming channel is hosted by Cr1TiKaL (penguinz0), which is actually more popular than The Escapist. Cr1TiKal definitely caters to those with an odd sense of humor, but while his monotone voice may catch you off guard, he is hilarious. The pranks are creative and elaborate. Videos feature impressive makeup and special effects. Many of the pranks might upset some viewers. The creator has been involved in high profile personal controversies. When your YouTube channel becomes a Hollywood movie, you know you've hit the big time. Or maybe Hollywood is just pranking you. VitalyzdTv's chainsaw massacre prank is one of the most involved and downright creepiest pranks on the Internet. It involves letting people walk into a scene right out of a horror film. This goes hand-in-hand with some of his other pranks, such as a series of Russian hitman videos with body cleanup, hostage taking, etc. VitalyzdTv's pranks are often quite involved with enough makeup artistry that you can really see why people get fooled. He also runs a second channel with behind-the-scenes videos, which gives you a great look into how some of the pranks come together. If you love prank videos, you'll also want to check out fouseyTube and Roman Atwood. NSFW: Language, violence, suggestive sexual situations. Prank videos can be funny, but they can also cross a lot of lines. Be careful at work. Helps you keep up with the latest viral social media challenges. Song parodies are creative and hilarious. The comedy may be too slapstick for some tastes. Political content may put off some viewers. How do you describe GloZell Green. Think of the most excited person in the world and taking on the cinnamon challenge, the ice bucket challenge, the spicy foods challenge, etc. GloZell also has a number of elaborate characters and bits, such as reading the lyrics of a song and giving advice to the artist and a not-so-bright character that completely fails at giving makeup advice. And because they are both quite odd and include a color in the channel name, we'll also recommend Annoying Orange.